Land Area: 12000 sq. ft.
House Size: 6500 sq. ft. 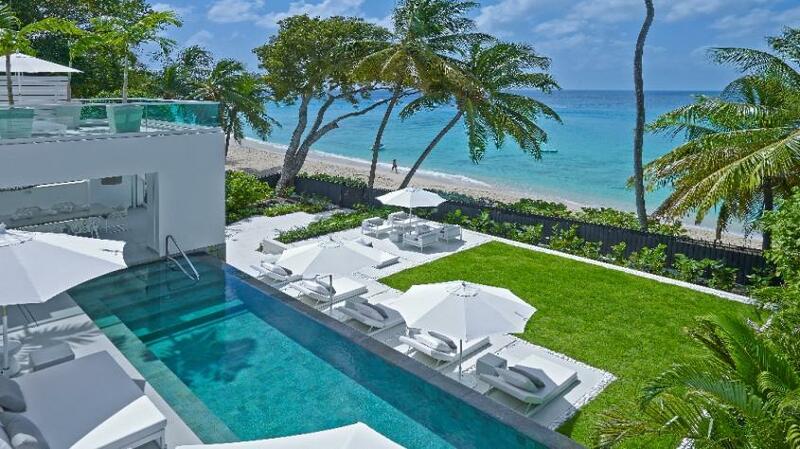 This avant-garde luxury beachfront villa is the first of its kind in Barbados’ platinum West Coast. 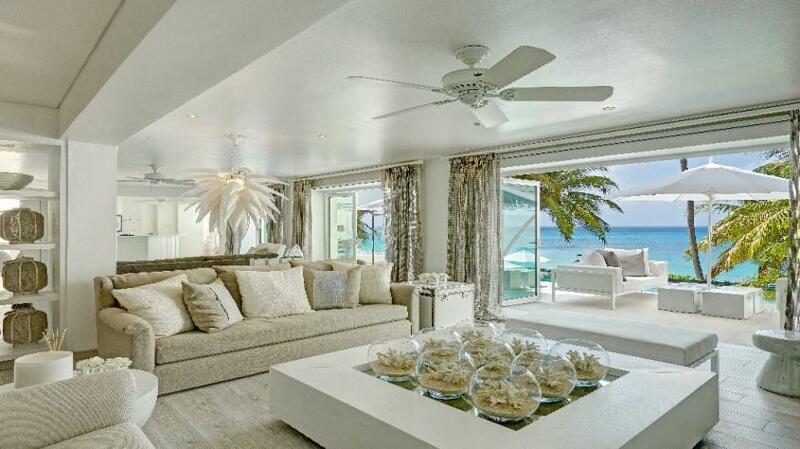 Footprints is outstanding with modern and minimalist architecture , boasting striking contemporary style that takes full advantage of a prime location for the ultimate in Caribbean Living. 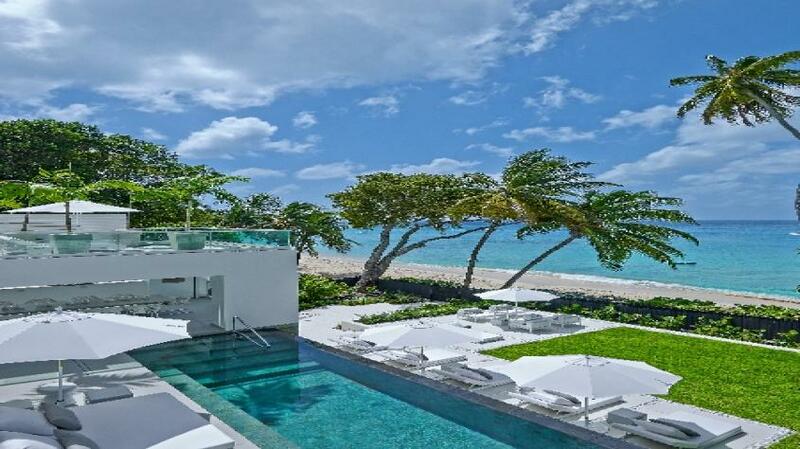 The shimmering infinity edge pool softly blends into a striking blue Caribbean sea. A meandering path through a radiant tropical garden leads to the white sandy beach where you can relax with a cocktail and enjoy the array of colours from a brilliant evening sunset. 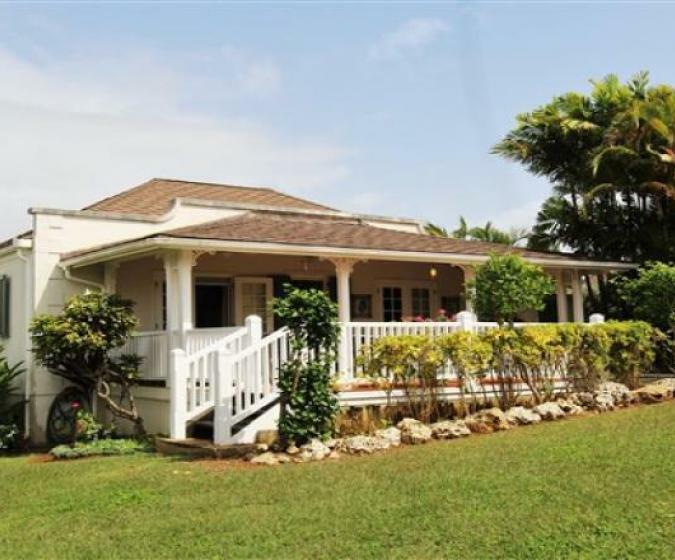 5 Bedroom 5 and a half bathroom luxury beach front home. Approximately 6,500 square feet of covered living space. 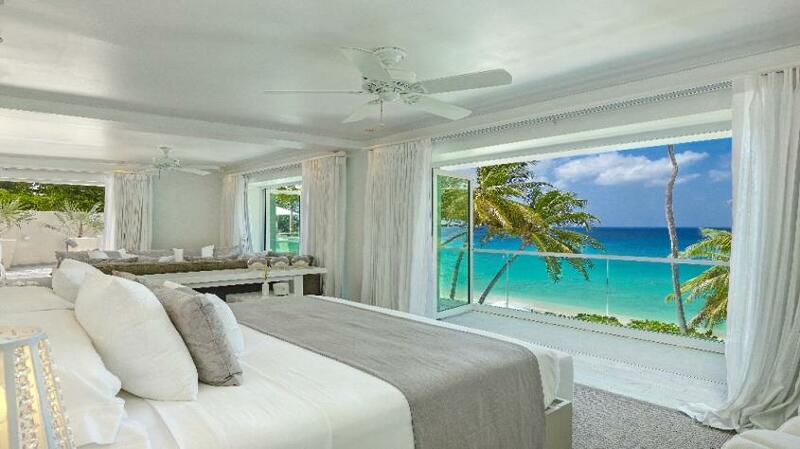 The spacious 1,300 sq.ft master suite is elevated with amazing views of the Caribbean Sea. Interiors designed and furnished by “Kelly Hoppen”.